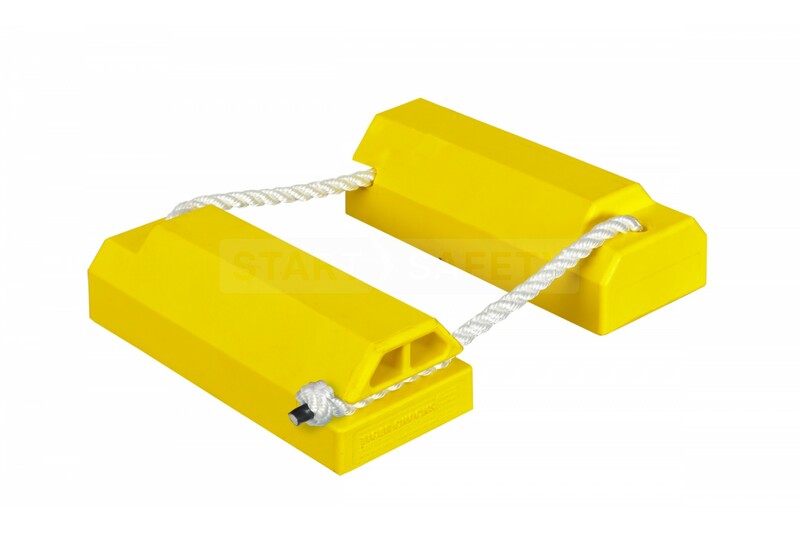 The AC4614 is a great wheel chock ideal for medium to large aricraft, it is supplied as a single chock with a polyester rope that keeps a pair of wheel chocks tethered together, the rope allows for secure deployment around a wheel. 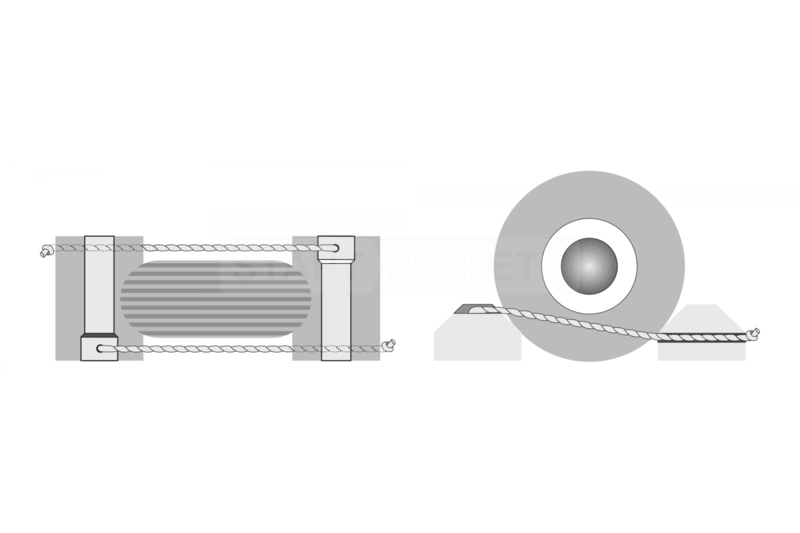 A carry handle variant can also be purchased that includes a carry rope to make transportation easier. 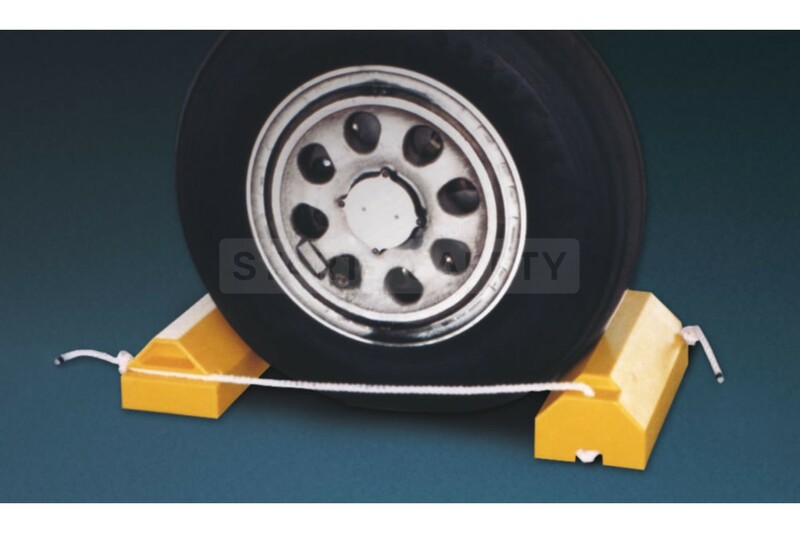 There are options to purchase this wheel with rubber feet to better grip smooth hanger flooring.